L-Brackets attach your camera to a tripod head via a dovetail plate (Arca-Swiss System). Most quick-release plates mount to the bottom of your camera via the tripod mounting screw. With standard plates, you have to “flop” the camera on its side using your tripod head if you want to shoot vertical (portrait) orientation. With an L-bracket, you simply detach the camera from the QR clamp, and then re-mount it on its side. If you use a tripod head with a lever-release clamp, then this process is quick and easy. You can get a universal L-bracket, which are designed to mount on just about any DSLR, or a custom one. Custom L-brackets are machined to match the contours of your camera, and usually include a lip to prevent twisting. A custom L-bracket (Really Right Stuff) on the Nikon D500. 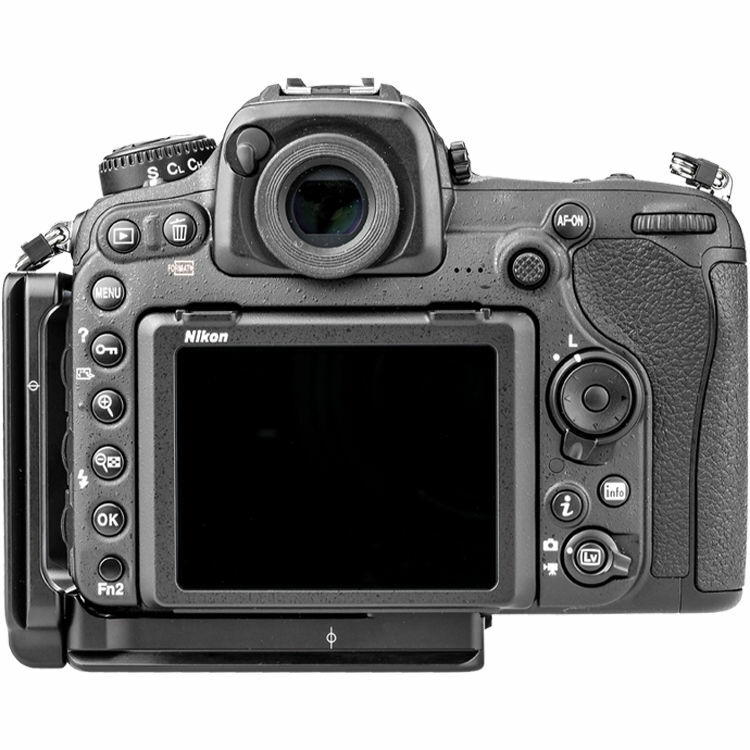 A universal L-bracket is good to have, especially if you’re buying a new camera, like the Nikon D850. Because it typically takes a few months for the custom manufacturers to design and produce model-specific L-brackets for new cameras, if you have a universal bracket, you can use it on your new DSLR until the custom ones arrive. Normally I prefer using custom brackets because they are less prone to twisting or slipping when mounted to my camera. 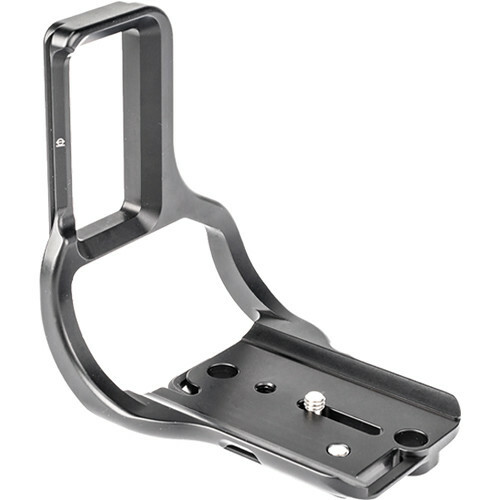 This universal L-bracket is fairly inexpensive and fits most standard DSLRs. If you have a tall DSLR (like the Nikon D5) or plan to use your camera with a battery grip, get the taller model. I use and recommend custom L-brackets from Kirk Photo and Really Right Stuff. Learn more about tripods and L-brackets in The Photographer’s Guide to Digital Landscapes (PDF guide).